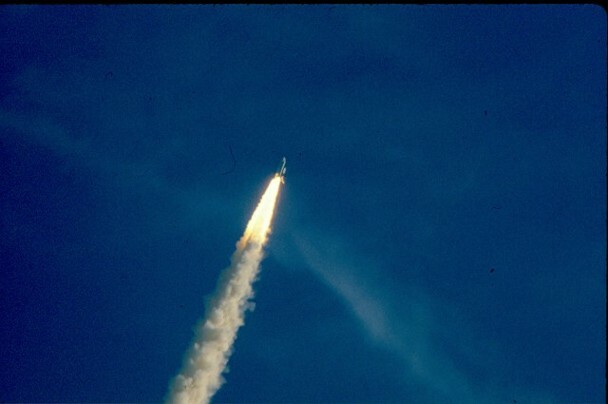 It was Sunday, April 12, 1981, the 20th anniversary of the first man in space - Yuri Gagarin aboard the Soviet spacecraft Vostok 1. 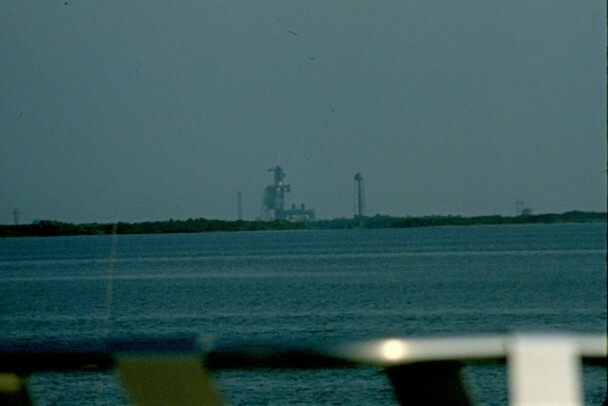 On this day, we were fortunate enough to be at the Kennedy Space Center in Florida, actually standing on the West side of the NASA Causeway, which runs between Merritt Island and Cape Canaveral, parked bumper to bumper with family and friends of KSC employees. 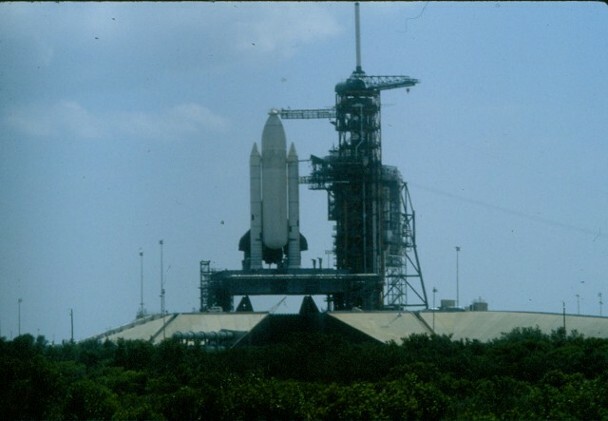 All of us had been invited guests to see the launch of the first flight of the Space Shuttle. It was history, and we were actually there. 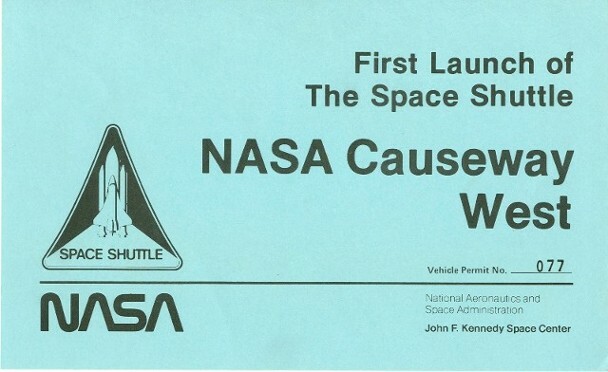 The car pass provided by NASA to allow our vehicle onto the base, to the designated viewing area on the NASA Causeway, West Side. 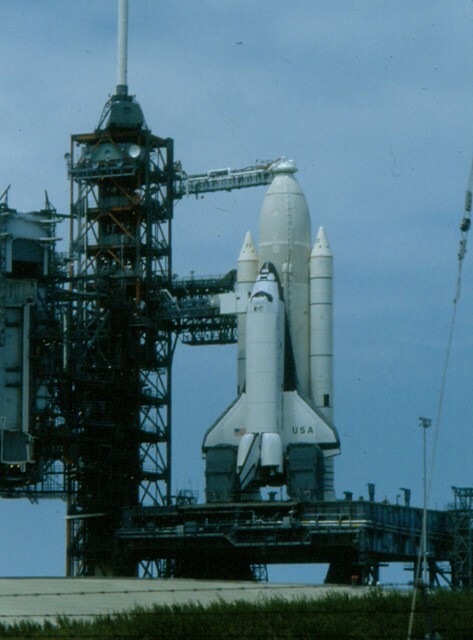 The story begins on Thursday, April 9, 1981 - one day before the original targeted launch date. 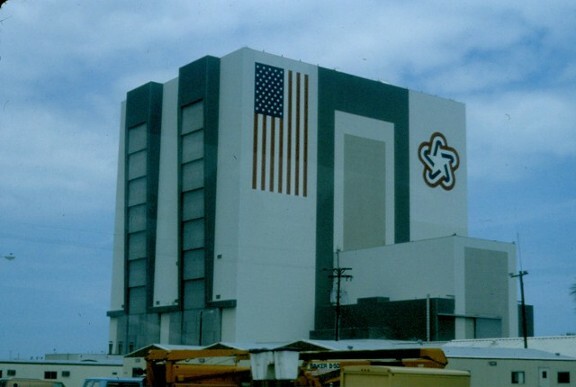 The Vehicle Assembly Building, as seen during our "last bus tour," prior to public access close-out on Thursday, April 9, 1981. 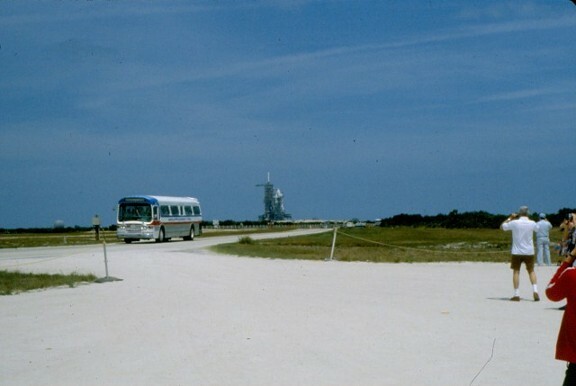 Pad 39A, with Columbia and STS-1 awaiting flight, was taken from the Crawler Parking location midway along the Crawlerway. We thought this may be as close as we would get. We were wrong! The bus just kept going closer, and closer. 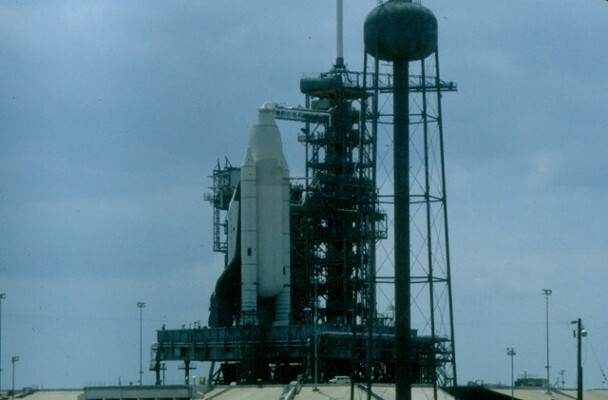 Right up to the foot of the pad incline and on around the Perimeter Road that forms an octagon around the complex, just outside the perimeter fence. 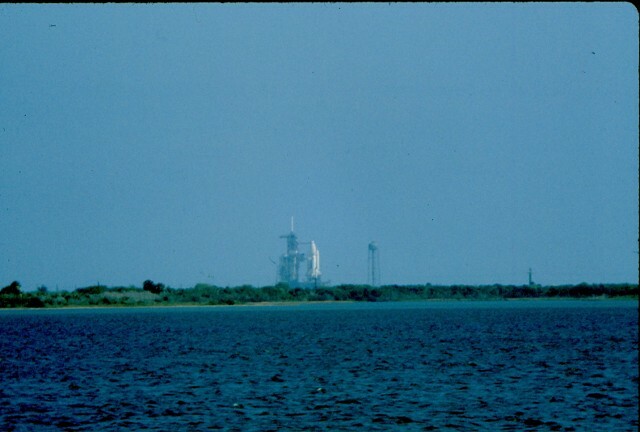 The familiar view from due East of the pad. 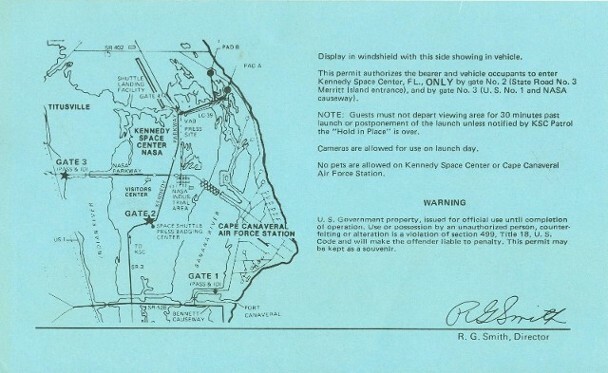 About the same location as some of NASA's TV cameras. 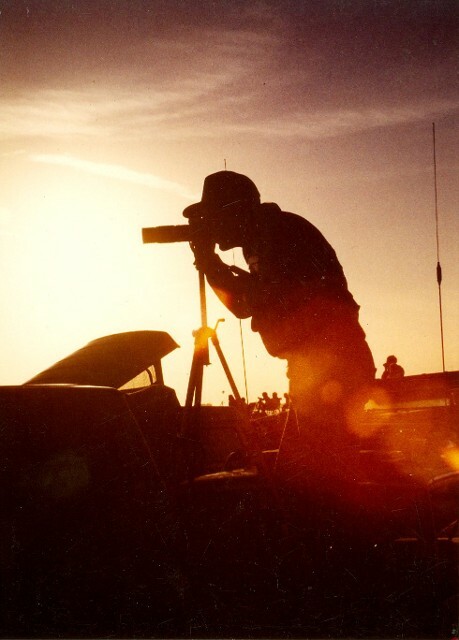 In the previous picture, you can see workers preparing cameras at the mount site. 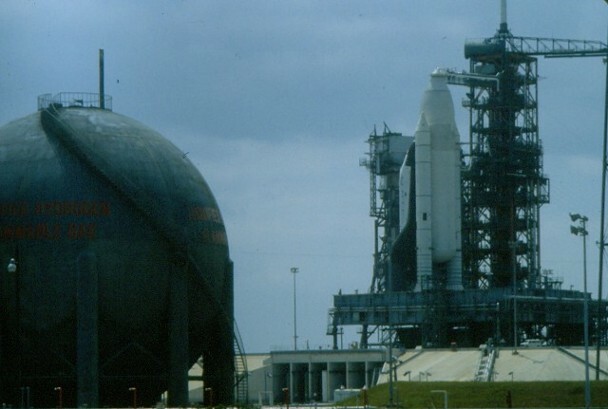 The view of the pad from behind the Liquid Hydrogen storage tank. 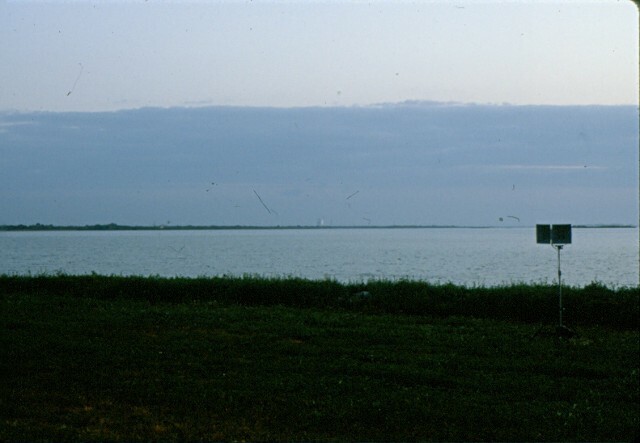 The water tower of the Sound Suppression System, containing 350,000 gallons of water, which is emptied in under 30 seconds onto the pad surfaces. The view from the North, into the Flame Trench. 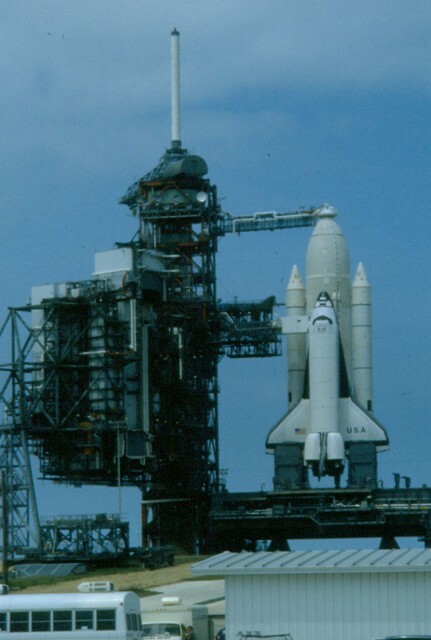 The SRB flame deflectors can be seen on either side, which force the SRB plumes into the trench. 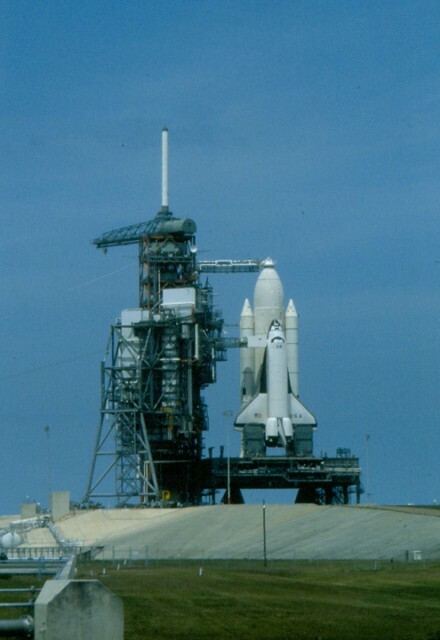 These are the very photos I would use to create the detail for my LC-39A model I would later build. 6 AM, Friday, April 10. After being in a "moving parking lot" since 1 AM, we finally arrived at the Causeway. The count was already approaching the point where the first "bug" was found in the General Purpose Computer system at T -20 minutes. 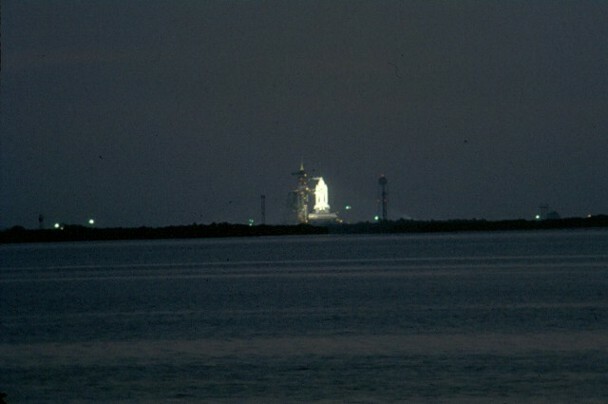 Nearing daybreak, and the countdown was being turned back for another attempt. 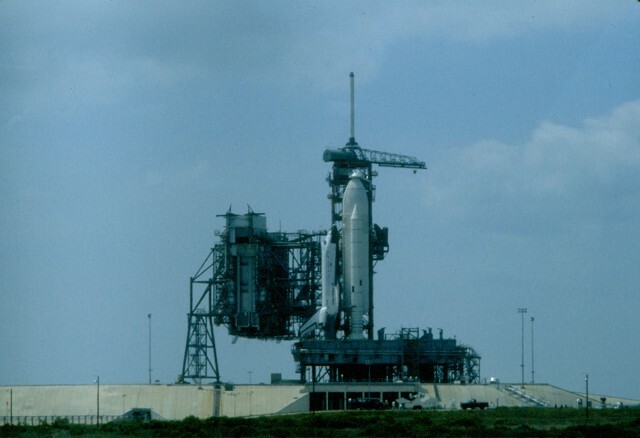 After another failed attempt to get the Back-up Flight Computer to communicate with the Redundant Set, Launch Director George Page calls for a scrub at 11 AM. 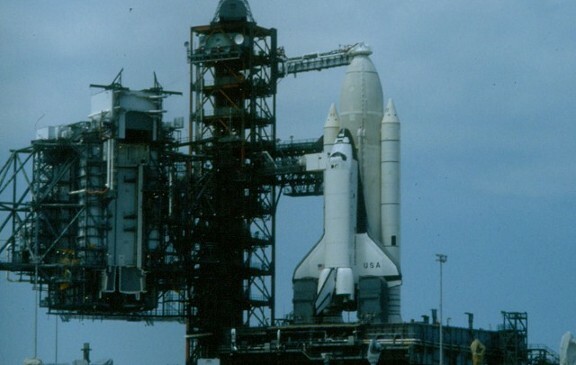 The computers would be shut-down, re-started, checked for sync and the software re-loaded for a launch attempt on Sunday. 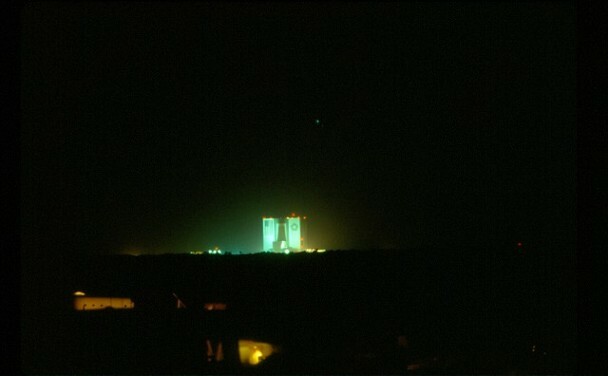 After the aborted launch attempt on Friday, April 10, we were back on-station in the very, early morning of Sunday, April 12. 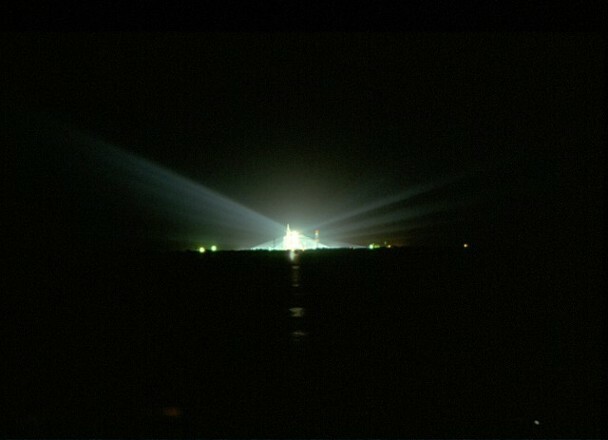 The view of Pad 39A under Xenon arc-lights at 2:00 AM. Today, the gates opened on time, and the drive to the Causeway was orderly. 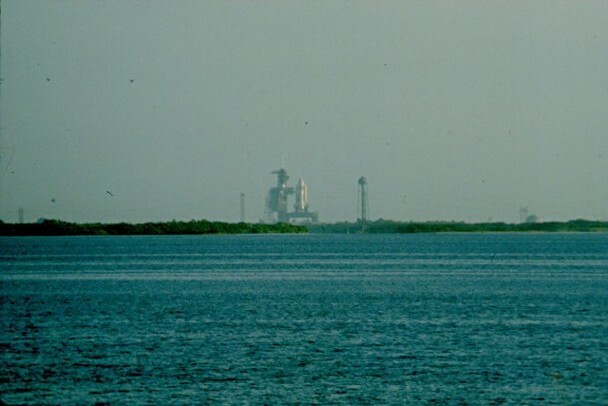 The VAB, from five miles away. Pad view, using a 135 mm lens with a 2X doubler. 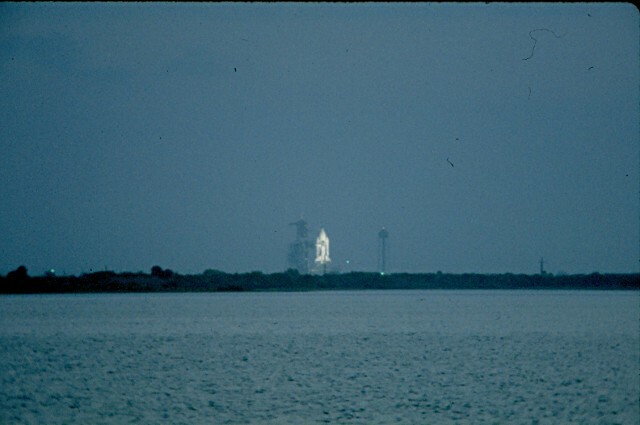 Near dawn, about the time of crew ingress. All swing arms are pulled back, and we're counting down. 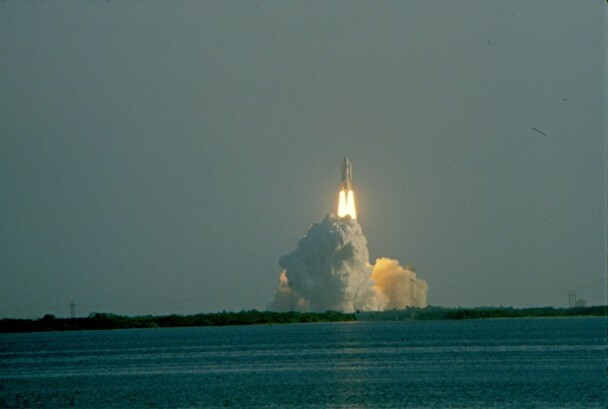 Liftoff of STS-1, at 7:00 AM Sunday, April 12, 1981. 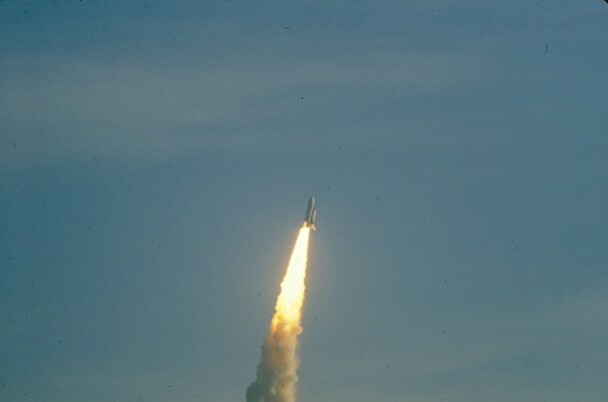 Onto the proper heading for orbit. "Negative seats!" 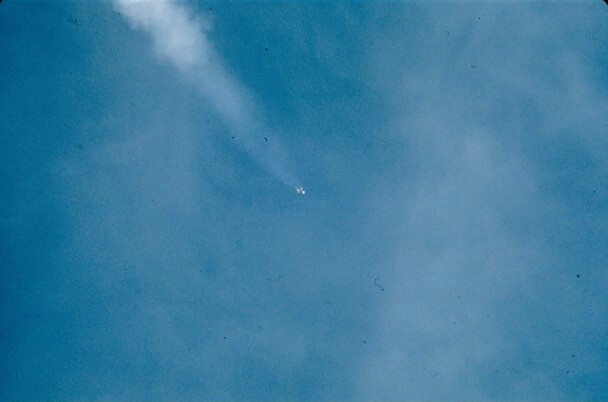 At above 100,000 feet, the ejection seats cannot be used. "SRB Sep!" 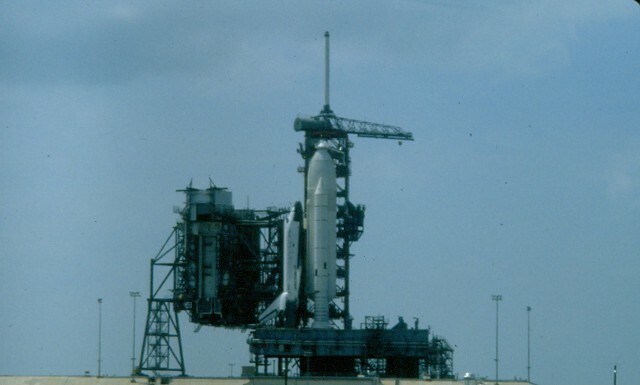 The two Solid Rocket Booster are cut away. 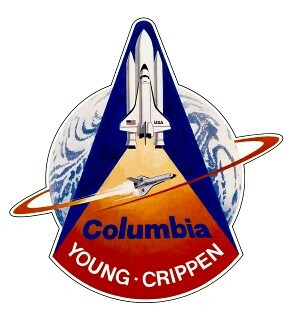 The three Shuttle Main Engines continued to burn, and Columbia grew smaller and smaller in the sky as she headed towards orbit. 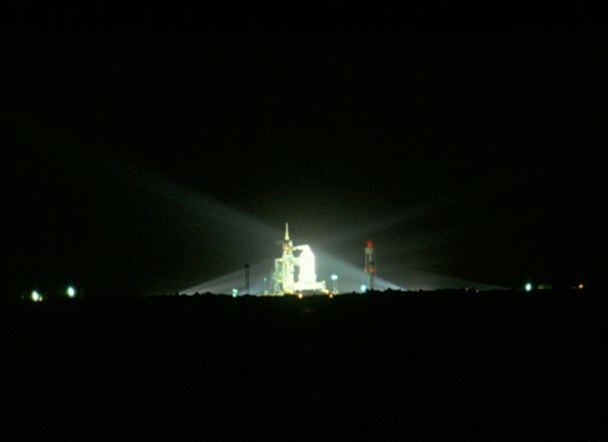 Pad 39A was now empty, but the euphoria had not stopped. We had actually been there! 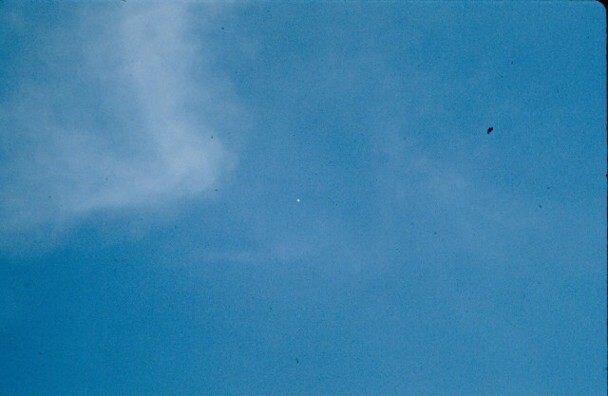 The bird really flew!! 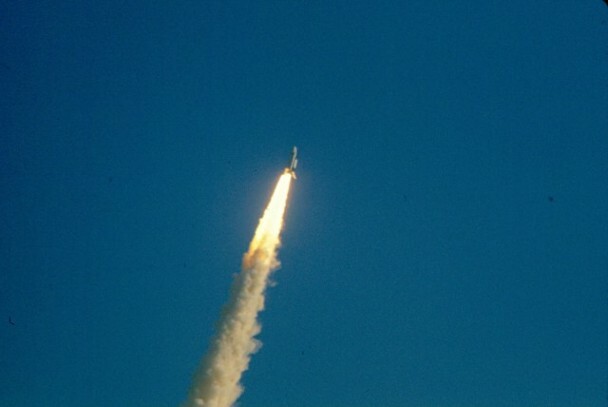 It was one of those rare moments in life that you had a hard time wrapping your head around, after working five years to fund our trip, and having successfully seen the launch, it was an incredible day! Yup, that's me! Standing on top of my father-in-law's 1976 Dodge Aspen Wagon, in order to take the pictures you saw here. This shot was taken by my dear friend, and IVAC member, Mike Cass. For all of us who were there, it was a day we will remember all of our lives.